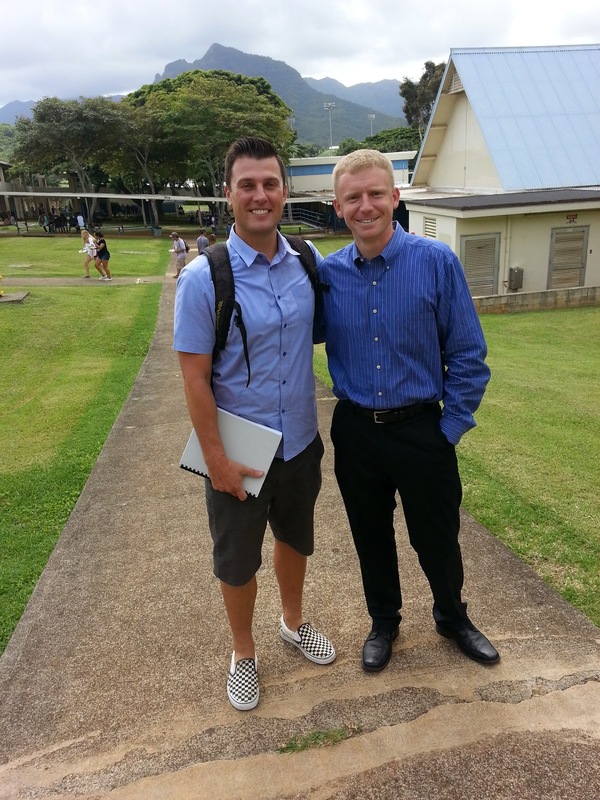 Recently I had the opportunity to visit Kailua High School on the island or Oahu. My good friend Dr. Chad Miller is the Philosopher in Residence at the school. Chad, in his role with the University of Hawaii, trains teachers on how to use a program called Philosophy for Children within content area classes. I was fortunate enough to take part in what is called a philosophical inquiry in a history class. Simply put, although the process is not simple, it is a framework for allowing kids to delve deeper into reading and specifically their thinking through philosophical inquiry. There were a number of takeaways from my time in this class that I will continue to unpack for days to come. However, one aspect of the conversation with these high school students struck a specific chord with me. The particular philosophical inquiry I participated in was a reflection on their community of learners. Specifically, they were discussing the idea of intellectual safety within their community, which was defined as their class. To be clear, the idea of intellectual safety is when students feel safe to share their thoughts openly and freely. I would venture to believe most teachers consider their classroom to be a positive community for learners and that intellectual safety is present. However, as I sat and listen to these high school students talk about their community, I begin to question my own classroom community. For starters, I’ve never had an open and honest conversation with my students about the community within my classroom. Never have we sat down and discussed as a group how we treat each other as people or as thinkers within our classroom community. Some might think this is a wasted effort on the part of the teacher and doesn’t impact the learning within the classroom. With the amount of content and curriculum to cover, how in the world do we have time to have classroom discussions or inquiry into how we are functioning as a community? Yet, as I sat and listened to these students talk, I couldn't help but sense the gravity of that conversation. In terms of intellectual safety, the students shared openly about how they felt they could operate and share within their community. It was very clear to me as an outside observer that intellectual safety was something taken very seriously by the students and by their teachers. Back to this notion of intellectual safety, I must point out the comments that one of the students shared. One young lady openly talked about how she felt safe to share in this particular community or classroom. However, she was very clear to point out that when she leaves this community she goes back into what she described as a box. Meaning she will go to another class being in this box and not share and not feel intellectually safe. It wasn't because anybody said anything or did anything to her in another class but simply the idea of intellectual safety was not a focus. Other students shared similar insights into acting or behaving differently in different classrooms. One of the students pointed out every student has thoughts but not all feel intellectually safe enough to share those thoughts openly. Now I understand the teachers all have different styles and approaches to teaching. As a result students may act differently in different classrooms. In spite of that, should we tolerate a student feeling like they are in a box and are not intellectually safe to share in the classroom? It really made me think back to the students I've had that are very reserved and quiet in my class. Often we just push them aside and assume they are shy kids and they are forgotten about. Although it might very well be possible they do not feel intellectually safe with in my classroom. How can we ensure no student feels “in a box” within our classrooms? For me, I know this will be a focus of mine as I move forward with this school year and work intentionally to create a classroom environment supportive of intellectual safety.